Another example of a very inventive and inexpensive way to create a modern privacy screen block wall; this design uses just the exact same rectangular shaped screen block in different stacking method! The final result is simply amazing! Someone must have really thought well about this, this screenblock wall is very ingenious. 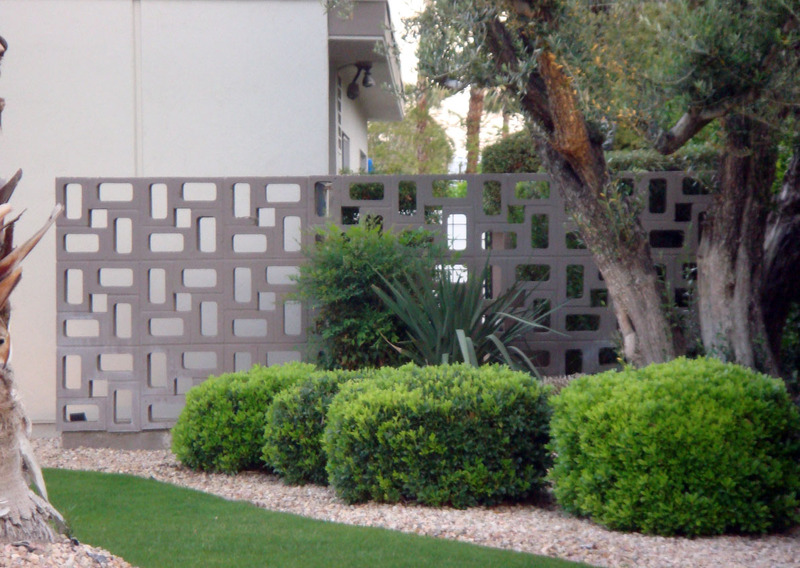 This screen block wall probably dates back to the 1950s, located in Palm Springs, of course.